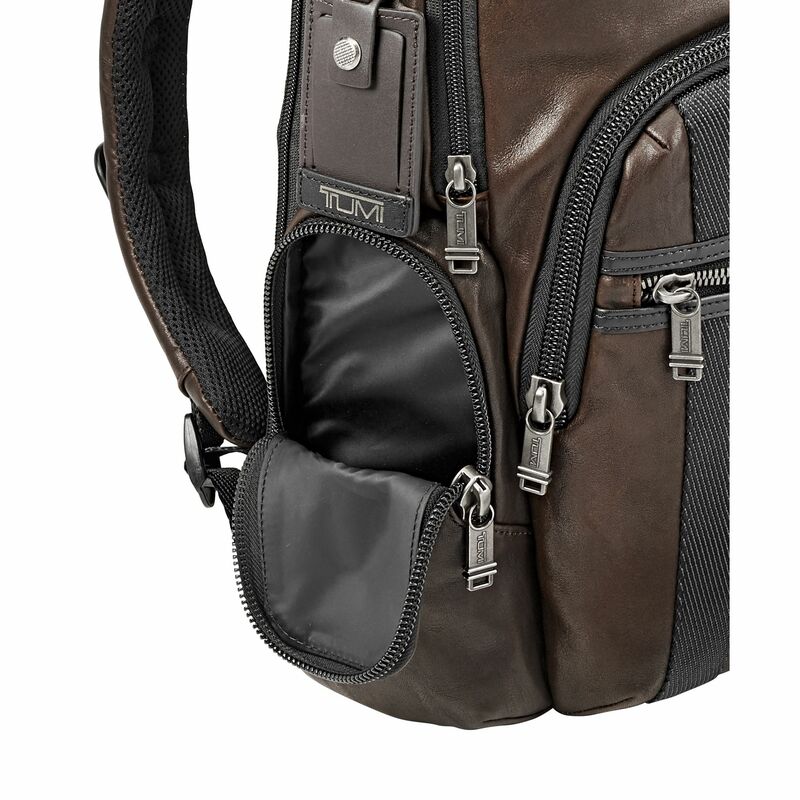 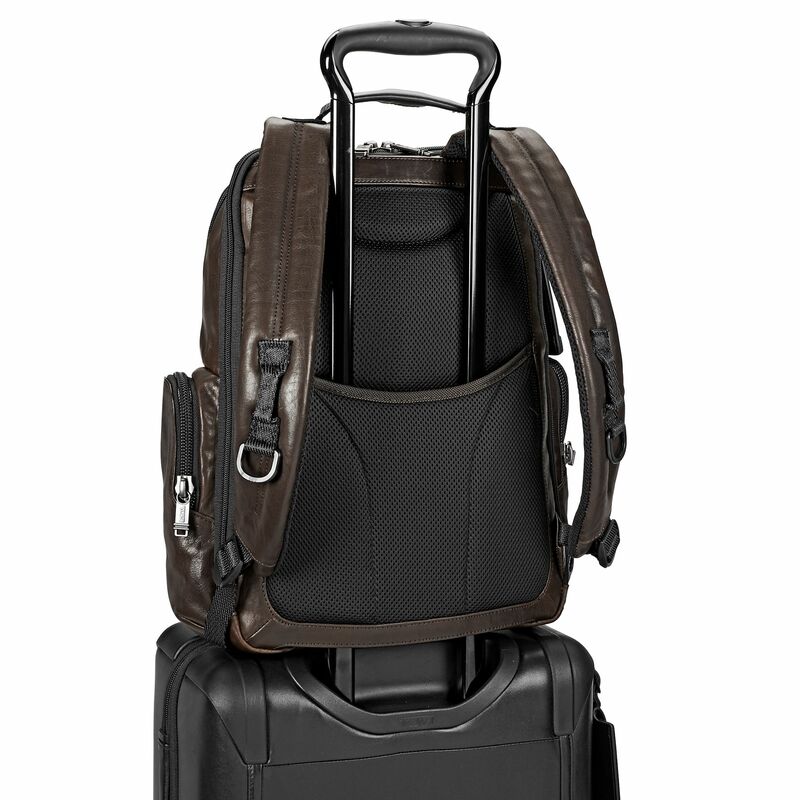 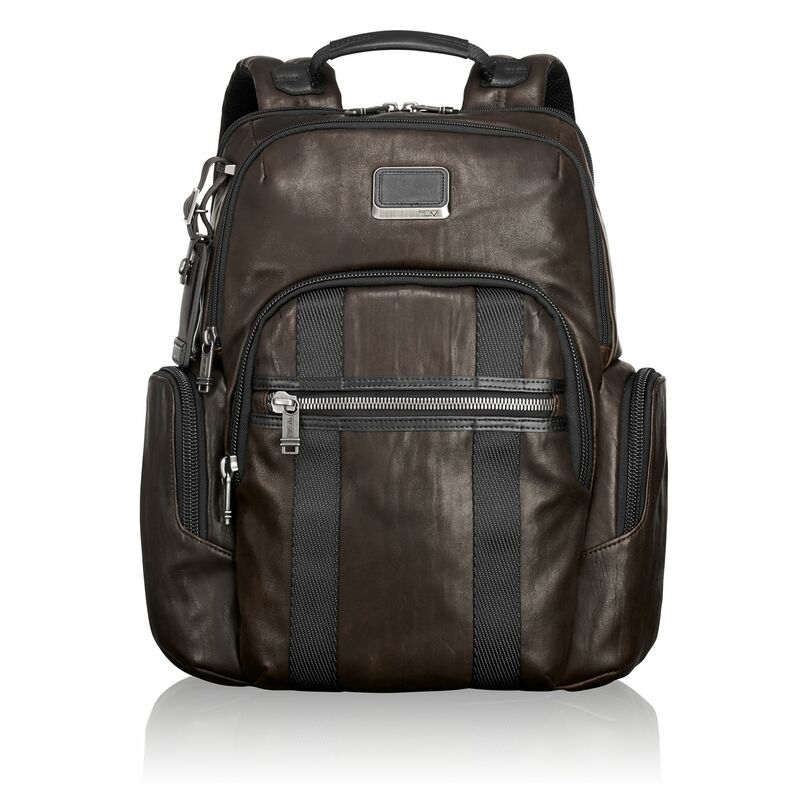 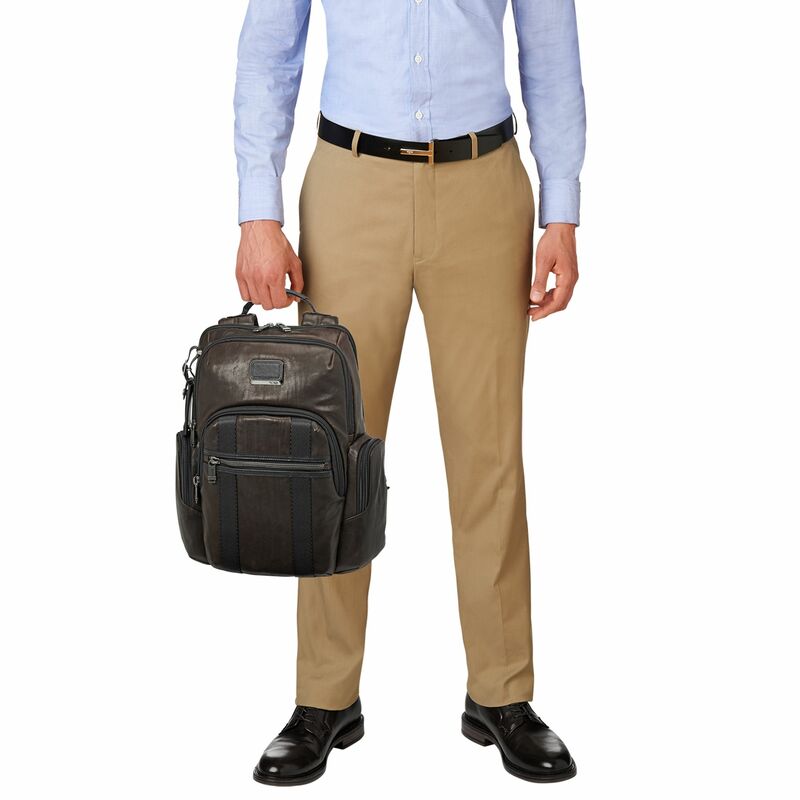 A versatile, modern leather backpack that works perfectly for business, school, commuting and travel. 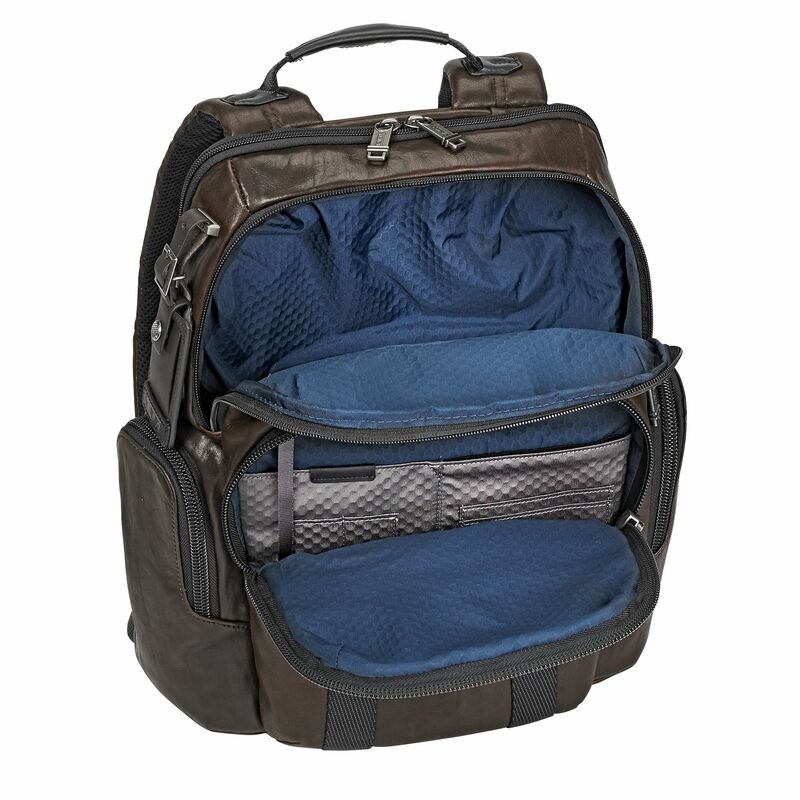 Its tall main compartment has a separate compartment for papers or files. 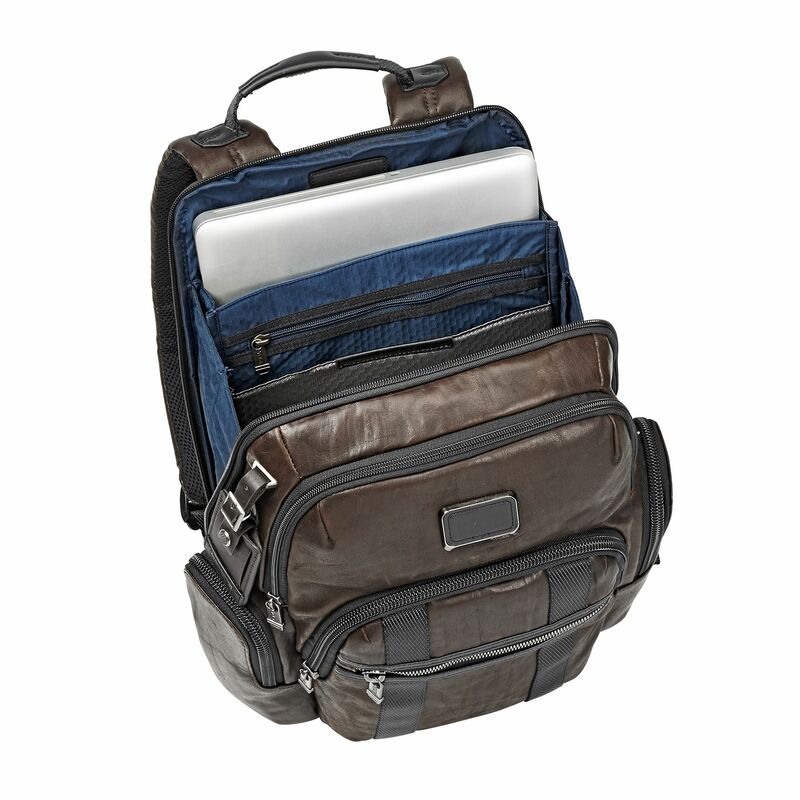 Features numerous organizer pockets and dedicated space for your laptop and tablet backpack straps have D-rings for attachments.